asking the basic question on VAT after so many year of implementation is still a guess work, Govt. Karnataka does provide the information but a few know where to look for it.. 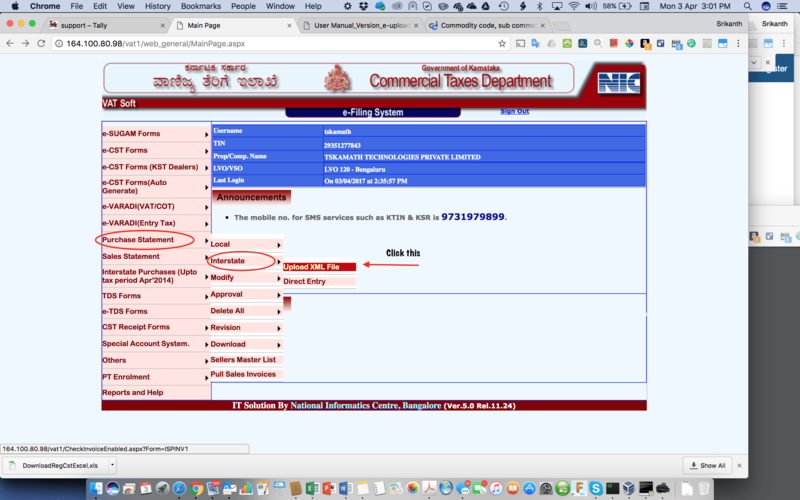 Step 3: Click "Purchase" > "Interstate" > "Upload"
Step 4: Click "View Reg.CST Commodity Detail"
Posted in General and tagged Commodity Code, ERP9, Karnataka VAT, Sub Commodity Code, Tally, TALLY ERP, VAT.